This year marks the 100th year anniversary of the National Park system and there is plenty to celebrate, especially at Volcanoes Hawaii National Park here on the Big Island. The national park service is enjoying a yearlong celebration that includes not only the past 100 years, but looks forward to the future of the next 100. The National Park Service has set out to educate and inspire people of all ages so that future generations can enjoy all that the beautiful parks have to offer for many more years to come. The second century officially kicks off on August 25, 2016 and features the Find Your Park movement. Find Your Park is intended to inspire all people to enjoy and support America’s 407 national parks. Join the movement by finding and visiting your park this year. With so many great places to choose from, it’s tough to pick just one. If you will be in Hawaii this year, the Big Island is the perfect place to explore the wonders the national park system has to offer. Hawaii Volcanoes National Park will blow you away with its active volcano Kilauea, fascinating geology and culture and awe-inspiring hikes. Be sure to carve out some time on your Hawaiian vacation to experience this amazing piece of Mother Nature first hand. Check out upcoming events at the park and plan an out of this world experience for you and your family. 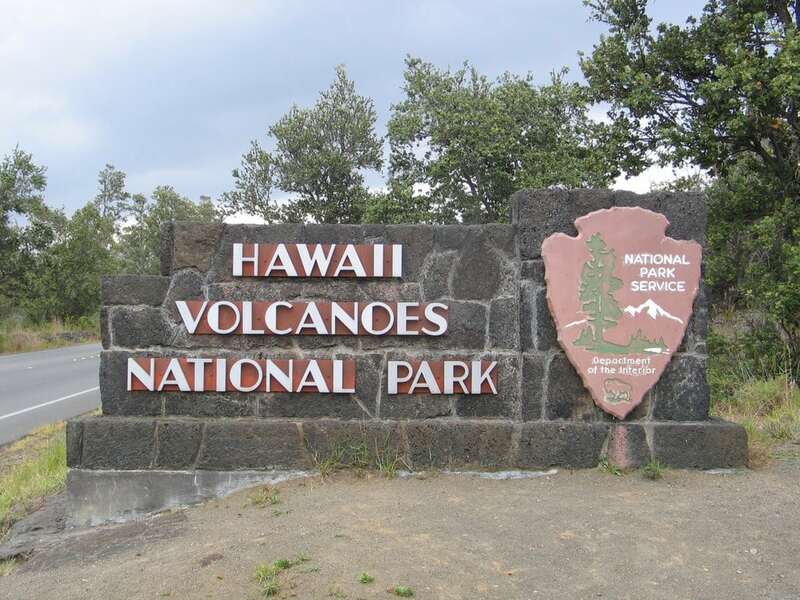 What’s even extra special about Hawaii Volcanoes National Park is that is older than the National Park Service itself! Hawaii Volcanoes National Park was the 15th national park and was founded on August 1, 1916. That’s 24 days before the National Park System was established and well before Hawaii was declared a state in 1959! Come on! This park will only turn 100 once. Live it up and make sure you are a part of it. Cheers to history in the making for the next 100 years! And when you have finished celebrating, you can find us just down the road for some peace, tranquility and some r&r. Here is a glimpse of what the last 100 years have looked like at Hawaii Volcanoes National Park.